The International Scout Movement was founded in 1907 by Lord Baden-Powell, and first came to Molesey in 1912 when a Group started at St Mary’s Church. In 1926 the Vicar of St Paul’s Church, the Rev’d Hugh McMullen wished to start another group to rival the St Mary’s Scouts. On 2nd November 1926 a meeting was held at the home of one of the church-goers, Miss Verity, who lived in Palace Road, East Molesey. 2nd Molesey (St Paul’s) Scout Group was formed that evening. Mr Sydney Thomas Nevard was appointed Scoutmaster, Tom Jukes agreed to be his assistant, and Miss Milbourne was appointed the lady Cubmaster with Miss Griffin as her assistant. On 21st November 1928 2nd Molesey (St Paul’s) Scout Group was officially registered. In October 2016 we began celebrations of our 90th Birthday Year with an all-group camp. 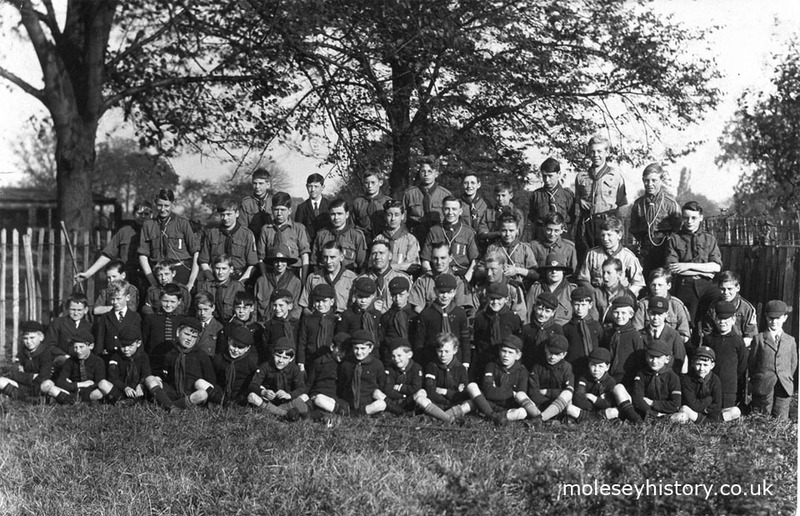 A photo showing the members of 2nd Molesey Scout Group from 1928-1929 is shown below along with known names. If you have details of the missing Scouts please let us know by contacting us.